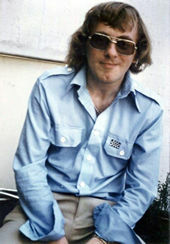 Born in 1948, not far from Henry XIII’s Hampton Court Palace, in what was then the County of Middlesex, now part of West London, I spent my childhood and early adulthood living in the Teddington, Hampton Hill and Twickenham area, later Sunbury and Ashford, before moving to Southampton in 1985. I’ve been married, divorced, and married again, the second time to a Russian lady from Minsk, Belarus. I’ve worked as a filing clerk, computer manager, credit controller and for Royal Mail. Much of my life has been outwardly mundane and ordinary, but ever since childhood I’ve always been fascinated by, on one hand, by the future - as envisaged by science fiction and fantasy; and on the other hand by history and trying to visualise how the world used to look like. I have always been interested in architecture, from old buildings to post-modernism. Over the years I have taken and collected an extensive number of photographs of Middlesex, Richmond area and London, as well as towns and cities across England and parts of Scotland; and of the former Yugoslavia, Austria, Malta, and more recent photographs of Ireland, the former Soviet Union, Bulgaria, Central and Eastern Europe, Istanbul, the Philippines, southern France and Italy. I am a prestigious collector of books - modern fiction; 1950s-70s science fiction and 19th and 20th century fantasy; history, politics and society (especially of Eastern Europe, Russia and the Mediterranean region); biography; travel and adventure; art and architecture; religion and the occult; 20th century fiction classics; country and city maps; graphic novels; guide books and brochures; general knowledge and science. I also enjoy travel, movies, music and following current affairs. 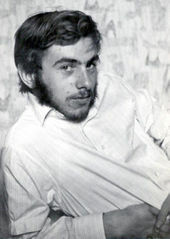 Top left: "The author in 1968." 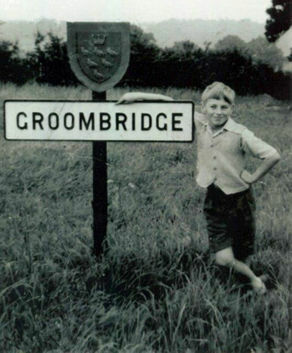 Bottom left: "The author in 1977"
Right: "The author as a young boy at the village of Groombridge, Kent, c.1955-6"